Blogging has its ups and downs and this week was a down. Any-hoo, I’ve got some favorites to share. I’ve taken up knitting again! My beau didn’t even know I knew how to knit and the second I whipped out my knitting needles to work on my very own circle scarf, he about died. His first comment: “we’re getting old.” Rock on. At least we’ll be warm and cozy in our old age. Or our necks will. I’ve never progressed in my knitting skill much past scarves. 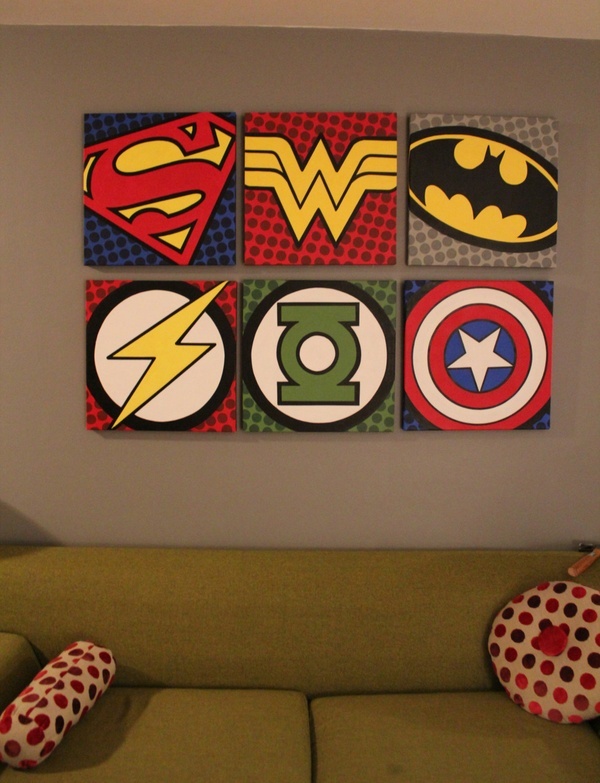 In preparation for moving in together, I’m making some awesome artwork for my beau’s man cave! I’m working on knock off’s of the one ones above. So far I’ve got Batman, Superman, and the Flash. Cool girlfriend of the year award? I think so. 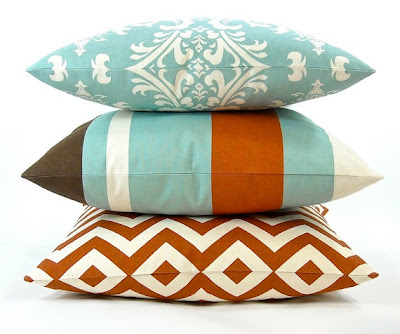 I’m loving this color scheme for my brown couch. With the mixed patterns and fun colors, I think they are just enough “adult” without being un-fun. Every day after work this week I’ve either hit up Goodwill or Marshalls/TJ Maxx. I cannot get enough of home decor. 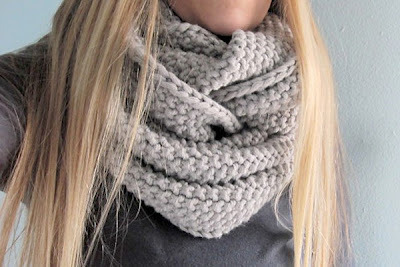 And while I’m mostly just idea shopping, I have bought a few things to make our home extra cozy. Pinterest and Etsy are also getting a lot of love from me these days. Congrats to Lindsey on her big move to Las Vegas! Today I’ve decided to link up with Lindsey, The Bargain Blonde (a girl after my own heart) for Friday Favorites! I’ve found a lot of cool stuff recently and I just wanted to share. 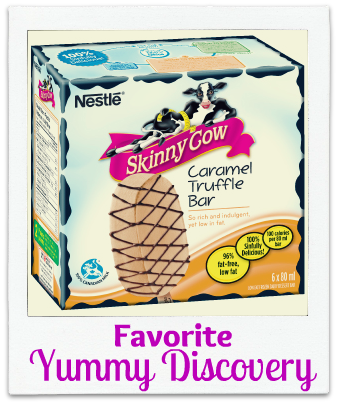 My favorite food discovery this week has got to be Skinny Cow Caramel Truffle Ice Cream Bars. They are to die for and they don’t taste like they are low-fat and diet-crap. I’ve never tried Skinny Cow products before but they’ll be getting my business more often. I’m such a sweets person! When I got my hair cut and colored a few weeks ago, my stylist insisted I look in to Pureology Shampoo and Conditioner. I looked into it enough to find out that each bottle is about $26. 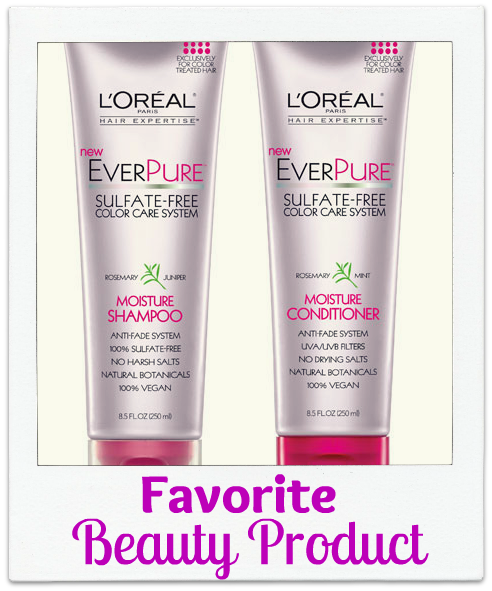 I just couldn’t justify it so I looked for an alternative with similar ingredients and found L’Oreal’s EverPure. The shampoo lathers like a dream (which I didn’t expect, given it’s sulfate-free) and overall it leaves my hair feeling clean and healthy. The first week I swore it made my hair feel drier but once I got past that week, it’s been good ever since. I also have to wash my hair a lot less and I’m not sure why. Overall, this product has bang for your buck. I got them for $5.99/bottle. I found this bikini top at JCPenney for $12. I’ll always be anchor obsessed and when saw this top I knew I’d buy it, instantly. Now I just need to find navy blue bikini bottoms to go with it. Any suggestions? Every time I see this in my drawer I get more excited for our family vacation to the beach in 2 weeks! If I’m home, I pretty much always have the TV on. 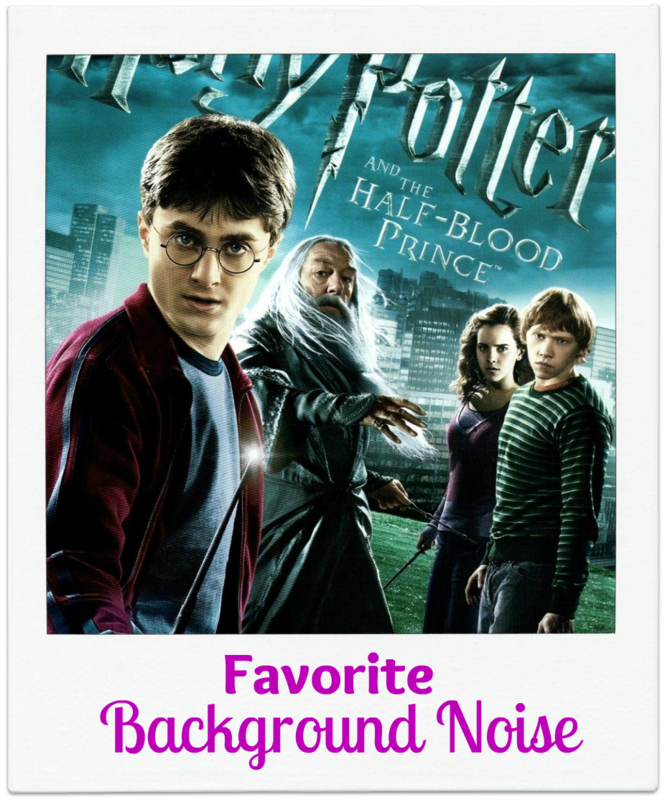 It’s not always cause I’m seriously watching, usually it’s just background noise. This week I’m on a total Harry Potter kick. I re-watch the movies about once every 2 months (don’t judge). I know the stories so well that I don’t have to fully pay attention but I still always know whats going on. Harry Potter will always stand as my #1 favorite book series. Any other Potter fans out there? I went to see all the movies at midnight. No big d, I’m a nerd. My favorite blog discovery this week was the 30 day/300 ab challenge over here. She did this workout every day for 30 days and achieved pretty spectacular results. I’m considering starting it. The photo above I just found online but that’s pretty much exactly how I’d like mine to look. Defined but not too defined. Think I can do it? Perhaps I’ll take a “before” picture today. Leave a comment below with a link to your Friday Favorite post if you stopped by from The Bargain Blonde! I’d love to see your favorites this week.